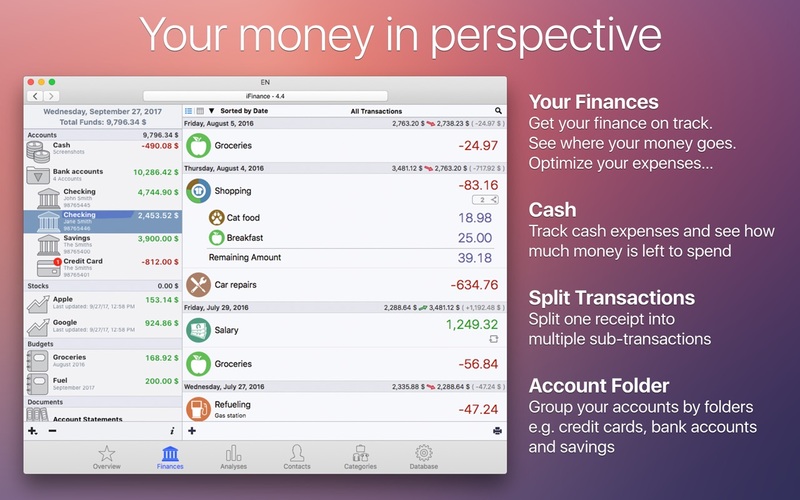 iFinance 4.4.6 – Comprehensively manage your personal finances. Next story Tap Forms 5.3 – Easily keep track of your important information. Previous story Tinderbox 7.5.6 – Store and organize your notes, ideas, and plans. Totals 2.2.9 – Create stylish invoices and more. iCompta 6.0.13 – Manage personal finances. CheckBook 2.6.1 – Manage personal checking accounts.